The creation of a scientific article can prepare you for expert consumption of science, and even the expert peer review of science. Participate in this hands-on workshop. Learn the tricks of the trade. Learn the difference between a literature for a class paper as compared to a literature review for publication. Learn the role of the annotated review for the creation of methods, variables, and analysis know as a nomological network. This network would include the theoretical framework for what you are trying to measure, an empirical framework for how you are going to measure it, and specification of the linkages among and between these two frameworks. Join this workshop, play the game, and learn annotated literature for publication and peer reviewed editorial work. What is in an article? What are the structural elements of a scientific article? In reviewing an article for operationalizing, what should you do? Do the key words in the summary align? What is missing? Is there jargon? Do the words seem to align with your knowledge and experience? Is the problem statement clear, concise and jargon free? Does the literature review provide a focused review to lead into and support the research questions and methods? Does the article provide a foundation towards describing work in service to the problem statement? Is the article is a citation dump: that there so many citations, that there is a lack of focus? Are the articles summarized to provide support to extend a question/ investigation? Do they provide a table? Are the articles summarized with a clear link to the target variables, sampling, data collection, and analysis method? How do the methods support the research question / hypothesis test? Are the methods capable of answering the question? Are there gaps in the methods? What are the key assumptions in these methodological approaches? Do you have a good example of what these different methodological approaches should include? Are they using grounded theory, are they using a parametric test, are they offering effect sizes, are they using trim and fill (meta analysis). What are the requirements/expectations for the method? Does the analysis methods answer the question being asked? Is the necessary information present to verify the analysis? Does the analysis have the correct formatting based upon the analysis testing? Are tables, figures and data presented according to APA? Are the outcomes/ interpretations supported by the data? Do the outcomes answer the research question? Simply give it a quick read for gist, and overall feel. Now pick up the pen, highlighter, and paper. operationalizing research questions and variables. What are my thoughts on each section? What is the thesis of each paragraph? I write down my gist feeling and examine this feeling with reasoning. 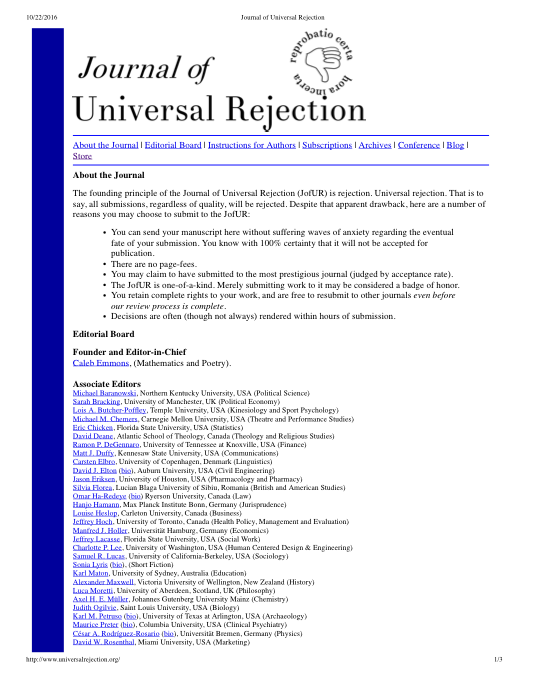 What is my overall thought as a potential reader of the journal? How does this relate to the questions in my study? Have the authors done well? If they have not done well, I suggest the major issues that might be improved with a suggestion for how to do it, and perhaps where to look. Use page numbers quotes, suggest examples, new ideas, and resources. I combine my notes based upon each of the online scoring system scores. I examine the relationship between the literature review, methods, analysis, and outcomes as an overall evaluation – is it good, it needs revision, the paper needs major revision, the paper needs to be resubmitted. I transfer those notes into the submission system with the message to the author/s, including general suggestion for fit in the journal, and helpful suggestions for next steps. I review my analysis for tone. –Is what I am saying helpful? does the article meet the aims and scope of the journal? 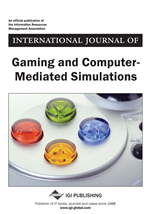 To promote a deep conceptual and empirical understanding of the roles of electronic games and computer-mediated simulations across multiple disciplines. To help build a significant bridge between research and practice on electronic gaming and simulations, supporting the work of researchers, practitioners, and policymakers.